Business Hours: Monday throuugh Friday 9 am - 5 pm at scheduled regular rates. After hours and weekends as available. EMERGENCY RATES Apply. Here are some YELP reviews! 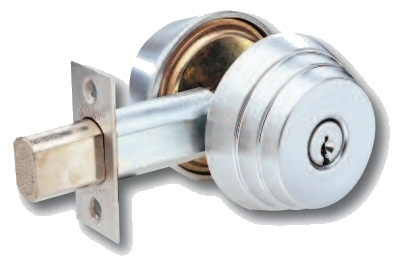 In the last few years there have been many "Locksmiths" working the Beacon Hill area of Boston. Some even pretend to have a location there by using phony addresses in various ads. I've seen their incompetent work and I've heard horror stories about the prices they charge. With cell phones and the internet, there's always a new group looking for an easy score and targeting desperate people who lock themselves out. I've worked for the people on Beacon Hill a long time and I want to assure you that when you deal with me, I will be honest and upfront about pricing and services without a bait and switch later. I've been in this neighborhood for 32 years now. Ask around, I've probably worked for one of your neighbors. Click on the ABC videos below to find out more about how these "Scam Artists" operate. You can trust me, I'm not like those guys! I want your repeat business and your referrals not to mention your trust and respect. Add security today. Internet Dead Bolt SPECIAL!!! $199 INSTALLED! Keyed to your existing front door key. Tell me you saw it on my web page.